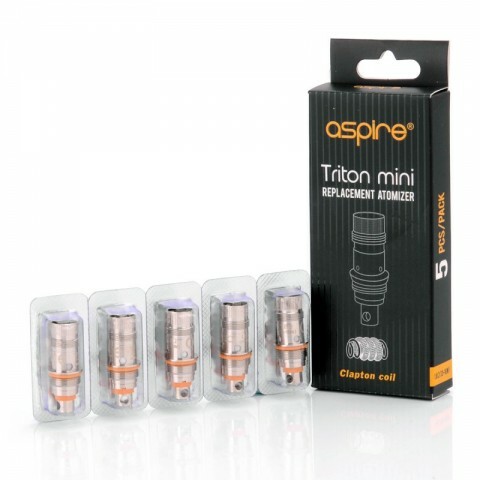 These coils are conveniently suitable for use in the Triton 2 Mini tank AND the Nautilus Mini tank. The 1.2ohm Kanthal coil is suitable for mouth-to-lung vaping or direct- to-lung vaping. The 1.8ohm Clapton coil has a kanthal base-wire and a kanthal wrap, providing more surface area compared to the standard coil design. This results in greater vapor production and a noticeable increase in flavor. The 0.15ohm Ni200 Temperature Control coil allows for a consistent vape every time.